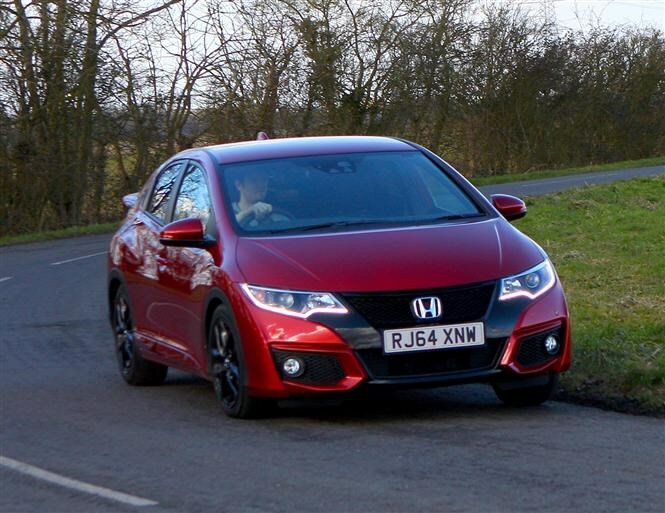 Look beneath the high-performance styling of this Honda Civic Sport - with its big spoiler and black wheels - and you will find a sensible and frugal diesel engine. Despite looking a little bit like what we imagine the forthcoming Type R will, its 1.6-litre motor promises a mighty 78mpg and low enough CO2 emissions for free road tax. Can this rare blend of racy looks and reasonable running costs steal customers away from the Ford Focus, Vauxhall Astra and Volkswagen Golf? The Civic has always stood out from its conservative rivals, and never more so than this 2015 facelifted version, with new lamps at the front and back, and a sharper body kit. Exterior upgrades specific to the Sport model include those mean 17-inch alloys, mesh for the lower grille, and a body coloured spoiler. 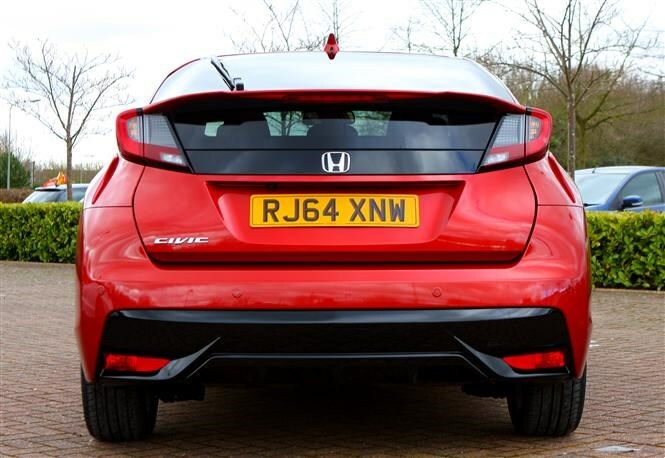 On our red test car, this merges seamlessly into the curve of the rear lights and looks particularly neat. Its LED daytime running lights, which used to sit above the foglights, have been moved into a revised headlight arrangement. As well as tidying up the front of the car, they give it a distinctive look and outline the new shape. A black diffuser-style section adds a performance look to the rear bumper. Honda says changes made to the front of the car and spoiler will improve steering and stability, particularly at high speed. While this wasn’t immediately obvious, there was certainly a reduction in cabin wind noise as a by-product. A black headliner joins the list of Type R-inspired upgrades while a new touchscreen unit promises better smartphone connectivity and crisper graphics. Our first impressions were good - it's a slick system which works quickly and intuitively. A Garmin satnav app is a £500 optional extra, which seems a little steep for a bit of software. The cloth seats in our test car offered good lateral support but the driving position was quite high, even on the lowest setting. As well as offering a better sensation of performance, a lower seat would make the Civic Sport more comfortable for taller drivers too. Does the drive match the looks? On paper its 0-62mph time of 10.5 seconds may not sound world-beating, but on the road it feels faster thanks to 300Nm of torque available from 2,000rpm. It also makes quite a nice sound. The 78mpg and 94g/km of CO2 Honda promises are attractive enough for buyers to look past its sprinting ability, and will appeal particularly to company car drivers looking for a low Benefit-in-Kind rate: it sits in the 14 percent band for 2014/15, rising to 16 percent for the year after. The Civic Sport feels quick through the corners thanks to high levels of grip from the front wheels. A 47kg engine weight reduction compared to the old 2.2-litre diesel engine means there is less of the heavy front-end feel common in diesel cars, and a clever system can apply the brakes to individual wheels when fast driving threatens the car’s stability. 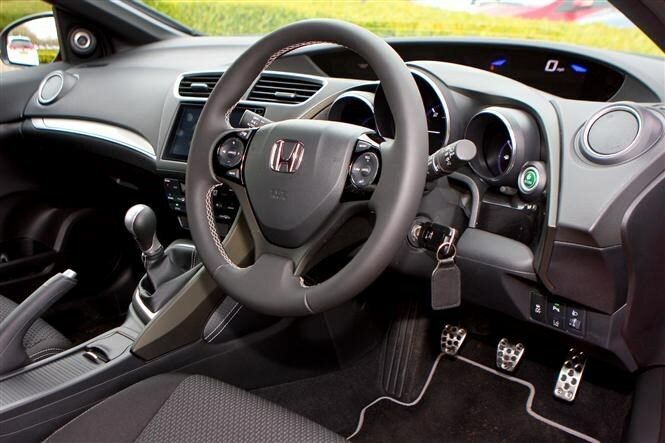 However, despite work, there is still not enough steering feedback to make driving the Civic Sport a truly engaging experience, though the extra weighting has improved things somewhat. The new cornering system feels like a safety addition rather than a performance-enhancing one, but we suspect this may change once developed for the Type R model coming soon. There is a temptation to play it safe when it comes to hatchback design, and the Civic’s distinctive looks may not appeal to all. However, we think a sprinkling of performance attitude enhances the already improved shape of this facelifted model. The diesel engine we tested pulled well enough and promises impressive economy. If you are looking for a medium-sized hatchback and want something that stands out from the crowd, the Civic Sport is an even more attractive option. 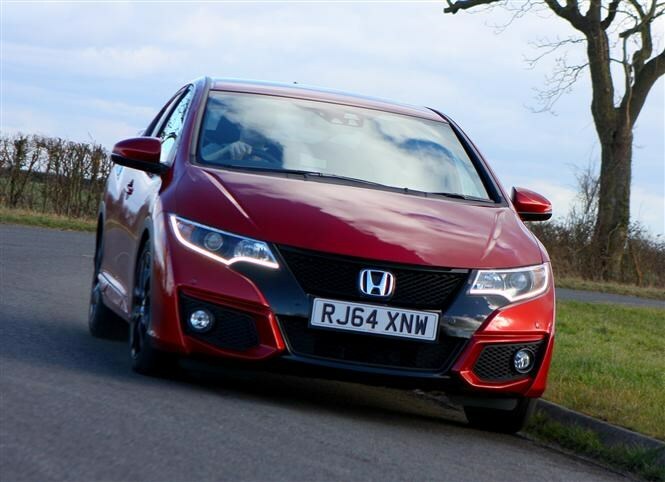 Full UK pricing and on-sale dates are expected this week, however, the car we drove sits alongside SR trim in the range and is listed on Honda's website at £20,820. It is available to order now.